Contains 2 rotating pulleys, 2 forks (cable guides), 10-ft. Stainless Steel, Teflon®-coated cable with 2 clamping clips, 1 non-moving resistance pulley, 2 slide brackets, and all fastening hardware. 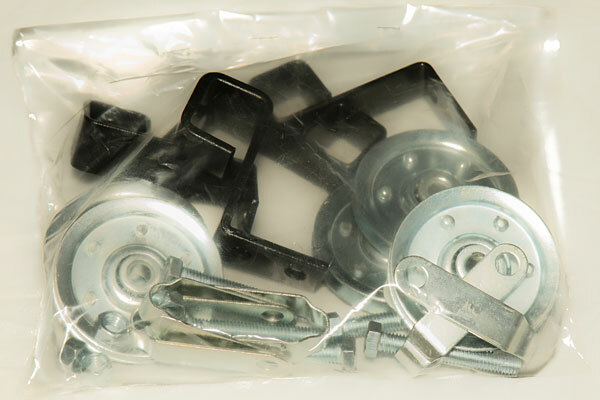 Contains 5 rotating pulleys, 5 forks (cable guides), 15-ft. 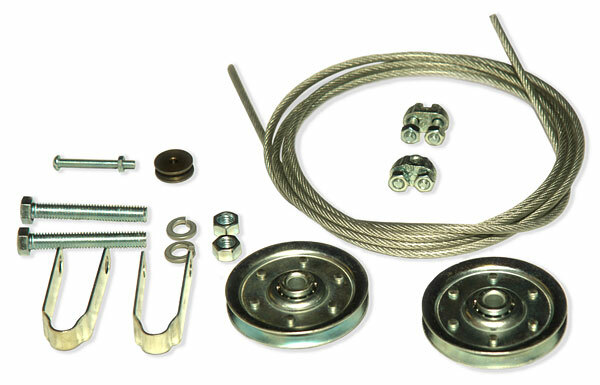 Stainless Steel, Teflon®-coated cable with 2 clamping clips, 4 slide-brackets, and all fastening hardware. Attaches directly to the blower housing to hang the blower/hood assembly from the overhead pulley system. The Counter Weight (C/W) balances your Vent-A-Kiln system in a pendulum-like manner. Please consult the factory for proper sizing. 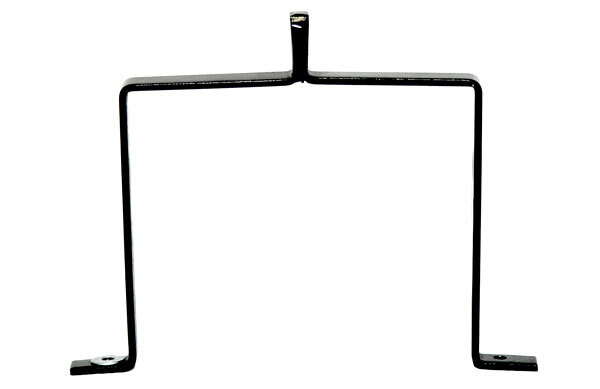 The Overhead Bar is constructed of 1-inch square tube steel and used to suspend your Vent-A-Kiln overhead ventilation system from above (overhead). It is available in 24-inch and 36-inch lengths. The Slide Brackets are used in conjunction with the 24-in. and 36-in. Overhead Bars. The brackets slide over the Overhead Bar allowing you to properly space between floor joists (or other overhead support systems) while installing your Vent-A-Kiln system. 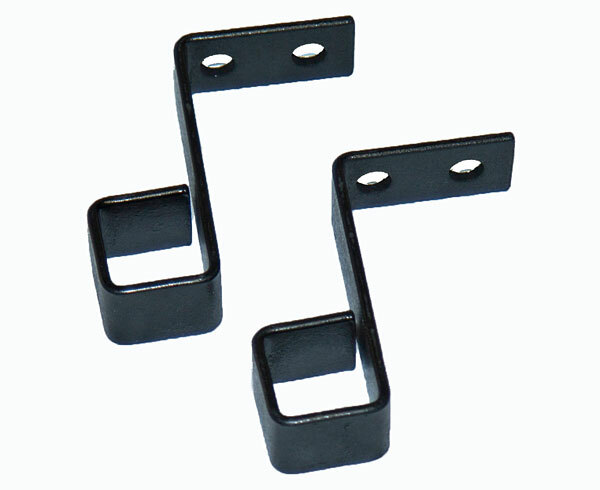 The Slide Brackets have ìLî shaped feet, each with two holes, allowing you to fasten the Overhead Bar to your ceiling.